There has always been some controversy over the ageing of wine, and it would appear to fall into two categories, cheaper wine that benefits not at all from being aged and in some cases suffers from it at quite short notice, and the perceived notion that all ‘good’ wines benefit from at least some bottle age. Cheaper wine is the easiest to deal with, the vast majority of cheaper wines, cheaper being a relative term, are made to be drunk upon purchase, many can be kept for quite long periods without any adverse effects but it is a very small percentage that will change other than deteriorate, as always with these broad brush assertions there are those rare exceptions but we can dispense with those in the overall scheme of things, indeed 95% of all wine produced is made ready to drink from purchase. When it comes to more expensive wines that are given drinking windows far into the future is where the fun begins, improvement in wine from ageing is not a given, it is an aspiration, wine evolves , the wine in real terms is the finished article the moment the winery bottles it, what happens after that is to a large extent in the hands of nature and how the parts of wine blend with age into one another, there are no guarantees that the wine will follow the path of ageing in the way the vigneron has suggested hence the multiple tastings over time having quite different results over that period. Some wines, and this is where I have a little knowledge over a long period, are as in Riesling especially age and evolve very well mainly because the sugar residuals act like an anti ageing agent, wish I could get some of that, and do indeed evolve over a very long period. But even with these many are just as delicious in those early periods as they are after long ageing, it is in the style a drinker likes that the difference comes into effect. You often get on forums discussing ‘how long should keep Riesling before drinking’ a sort of arbitary time you keep the various types of Riesling before opening, it is often suggested that 5 – 10 yrs for Kabinett, 10 – 15 for Spatlese and 20+ for Auslese, but the reality and my though limited in real terms experience is much can be taken with a pinch of salt, as with photography blogs as an example the forums have been taken over by the gear geeks to whom nothing is ever good enough and with them you wonder do they ever take any photographs as their entire time is taken up discussing if they have enough pixels in their camera. Wine on many blogs, not all thankfully is discussed in a similar manner and to the wine geeks these years of ageing are sacrosanct. So where does that leave Riesling as I know it, well as all Riesling keeps ! We can generally be assured even a lowly one will not be affected if kept for a few years, Kabinett wines I have drunk well over ten years in age with no deterioration but also virtually no change other than a bit of colour darkening, I have for example a 12 case of Schloss Lieser Brauneberger Juffer 2010 purchased from the winery that has drunk from the day I got it home to now with no change at all that is discernable, still as fresh as the day the first bottle was opened and it will go a bit more yet, but it has not improved. My experience with Spatlese and Auslese is different not because they are not drinkable when received or purchased, all have been and if it were not for the infanticide brigade I would be happy with that, but these wines do evolve, and this again is the area personal subjections kick in, the oldest wine that I have drunk was from my ‘71s the last Auslese was around 26/27 years old after the vintage and had turned into a dark golden almost syrup like consistency, it was wonderful, but others with similar time spans in ageing had not evolved the same way, through winemaking styles storage over long periods, not a factor with mine, but a factor, dodgy corks, there were a lot in that period and so on, many of those I preferred at a much earlier age, the Spatleses in particular, what we have is a multitude of factors that effect wines ageing process and the end product. Once again Riesling as with Sauternes is a rather different animal because of the residual sugar and given reasonable time scales with most the fruit is not lost, with many other wines the fruit starts to disappear with and with all wines with the usual exceptional caveats there comes a tipping point when it is all downhill, Port wasn’t fortified for no reason but still wines don’t have that luxury of fortification to keep them going. The only slight deviation to my comments on Riesling is that some Auslese shut down after a couple years for a period that can only be guessed at, and the only time you will know if it has shut down or opened up again is by opening a bottle, no guide or expert opinion can help you there, it would only be a guess and again the few never come round, that is the nature of ageing wines whatever they are. So where do the new dry Rieslings fit in with all this, it is still to early to say for the majority and my tasting of them for that reason is limited so far, the only aged one I have drunk , the one mentioned in my wines of the year, 1998 Koehler-Ruprecht Kallstadter Saumagen Riesling Auslese trocken “R” now that was sensational, but only having one bottle means I have no way of knowing what It would have been like at an earlier time, so any comment would be pure guesswork. On the face of it the reduction in sugars means the life is more limited and that should be almost certainly the case but there has not been enough time for a definitve answer to that as most have come on stream relatively recently. And the bulk of the earlier trockens were just poor wines so nothing would be learnt from them, in fact it was only in 2002 when the GG designation came into being that the early bottling was ditched for late bottling and much longer time spent on the lees, now up to twelve months with the better producers that ageing became worthwhile with these wines, they are now drinkable throughout their life span. Many of the dryer Rieslings have excess acidity when young and need some time for that mellow so some ageing is required anyway. So where does that leave Riesling in general terms re ageing, we all know that the higher sugar levels of Auslese and above can produce wonderful long lived wines, many of which will evolve into something special, Spatlese is more circumspect though it to can last with no ill effects for years but not necessarily improve and Kabinett has the wonderful ability to hold that initial freshness over a decent period of time but will probably stay much the same, and all of this more so in the top echelons do still depend on having the fruit in the first place so good vintages are essential, many even Auslese can be rather flat and tasteless with time from poor years and the petrol effect is much more prominent in those years which is why when I was asked some time back about the petrol taste I replied I had not come across it much, as for in the past when vintages were much more unreliable I only purchased in good years, if you look back at vintage charts for Germany you only got around three years in ten that were very good, many years were awful, that with climate change has altered dramatically and the incidence of really bad years coupled with the increase in vineyard management has meant the bad years are now in the minority, yet with such riches why buy mediocre vintages anyway. in a nutshell warmer climes have more effect in producing this effect and the use of screw caps is also a factor, but it is worth a read even if to dispel the many myths on the petrol factor in Riesling. Note they ’can’ shut down, not they will. There is another type of Riesling that falls between the sweet and dry wines, the semi dry, unfortunately for the consumer the German wine labelling doesn’t exactly help in telling you which are semi dry, many of the older estates, such as Maximin Grunhauser have a long list of wine styles often using descriptions that to an outsider are just very confusing, yes I know what they mean, but is it desirable to further complicate an already puzzling system of description, feinherb, superior, monopole have all been added to the already long list of descriptions, despite the ‘70s decision to simplify labelling many estates have made it worse, yet semi dry does not appear anywhere on a German label I have seen which is to put it bluntly stupid. None the less this category has the attributes of both the dry and sweet styles and ageing wise should be on par with the likes of Chablis etc, but the ones I have drunk were good to go from the off, I wouldn’t bother with any prolonged ageing at all. What are we left with, the fact that the sweet wines and in particular Auslese will age given all the caveats above into something very special but are still very drinkable at an early age, it is a matter of taste. The icewines, BAs and TBAs will given the same criteria go on forever and just keep evolving, but this is a very expensive and rare category and for many estates a huge expense and effort in labour to produce hence the very high prices . For those who want to age Riesling then buy good and buy when you are young, for those who have no desire to wait decades to find if their purchase has turned into something marvellous or not there are many earlier vintages for sale from the likes of Justerini & Brookes and Howard Ripley, plus many estates release older vintages from time to time, always worth looking out for. Those of you who want to buy say Auslese to lay down for the future and are worried about the cost and the reliability of the winemakers are lucky, Germany has some of the best value top end producers in the world of wine, for value and quality even at Goldkapsel level Auslese as well the standard product, Fritz Haag, Schloss Lieser, Peter Lauer, Willi Schaefer are all ultra reliable and easily available here at comparatively little cost, even the ever reliable JJ Prum and again the rejuvenated Maximin Grunhaus is not that expensive for their Auslese you really can’t go wrong for starting a cellar in ageing Riesling with these. Hurrah, @cerberus! I was hoping you would start something along these lines. There’s a heck of a lot in there to engage with, and I hope to do so when I have a bit more time later today. Wines that “go nowhere”. This is definitely a thing. It’s a minority of wines, but unlike you, I have had it happen at all sorts of levels of sweetness, from dry up to (heartbreakingly) an eiswein. (£££). I have a 1990 Trittenheimer Apotheke from Laurentiushof (should be reliable though unlikely to be thrilling) I bought at both the Spatlese and Kabinett level. The Kabinett wines are lovely but the Spatlese never went anywhere, and are obdurately intent on staying there. I don’t know why they do this - maybe it’s some extraneous factor such as poor control over sulphite addition? “Petrol” flavours. 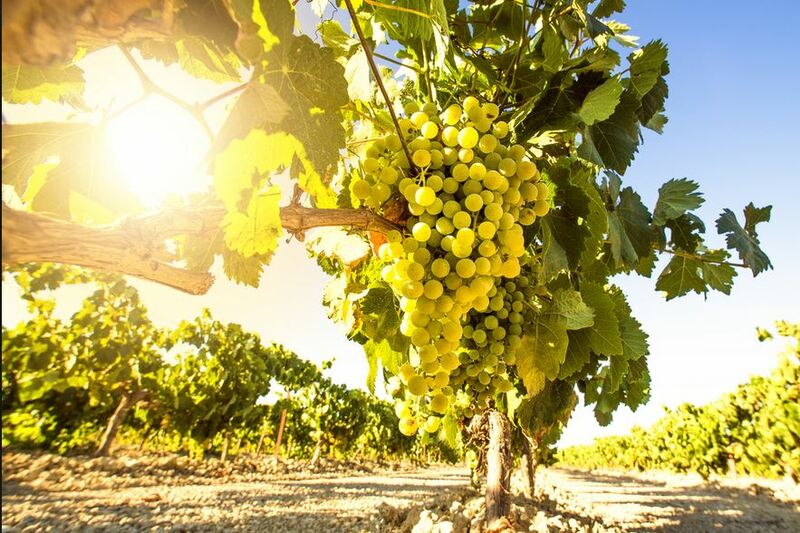 Although this is commonly associated with riesling wines as they mature, it can develop in wines from other grapes. I’ve had it in a couple of Marsanne wines for example. Right - must dash. Hope to re-engage later. This will always be, unless you have a 12 case which you are able to sample along its years of maturing you will never know, but it is an expensive way of finding out and will have little bearing on a different wine. Wines that go nowhere, that of course happens or can to any wine put away to mature, many years back a friend who could afford such luxuries had a case of Ch Montrose, notorious for taking ages to mature and soften, he sampled over a prolonged period of years, it never, in his lifetime did come round, it’s a chance you take. As I have said before, I have only had three or four in all the years and in all the Rieslings I have drunk, which is good because although it has a novelty factor I don’t like it. Wow @cerberus, what a great read . Thank you for taking the time to put together all of this ! Very interesting and a really good read ! Fascinating, thank you. It is one of my favourite grapes, and I believe one of the worlds best. I’m not sure how to progress this! @cerberus’s thoughts are so all-encompassing that it might be incoherent to try and respond to everything all at once. But I do enjoy a good discussion, so maybe one bit at a time. Sweetness, then. Hopefully by now we are out from under the shadow of the dreaded Liebfraumilch. 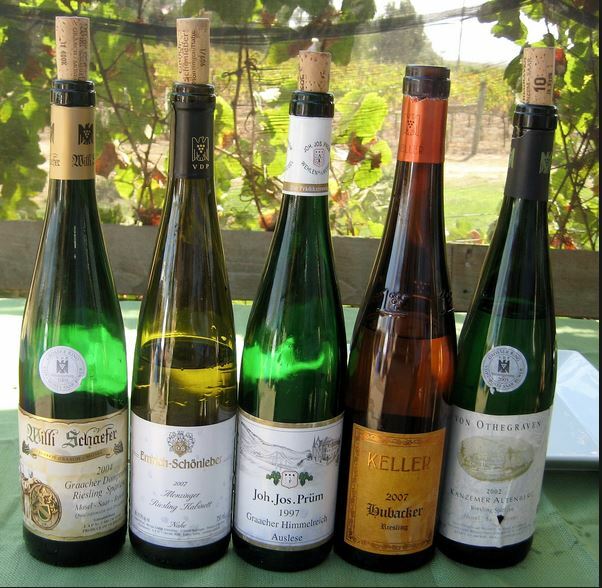 Not that riesling was much involved with that, but some of its satellite drinks (e.g. Niersteiner Gutes Domtal) frequently were. But that was then, and some people still labour under the impression that riesling wines will be semi-sweet. That’s not the sort of sugar-water we are talking about here. We are talking about wines that can age! It’s worth mentioning that worldwide, there are two main ways that riesling wines get to be sweet. Firstly, by retaining some of the grape sugars that don’t ferment right out. Historically, cold winter temperatures in the cellars would stop fermentation before completion, and the wines would be bottled after filtering the yeast out. 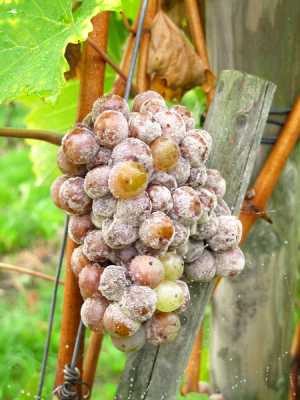 Secondly, by allowing the grapes to hang long into autumn, and to be attacked by the fungus Botrytis cinerea (= “noble rot”), a grey mould, which concentrates the grape juice and adds flavours of its own as well as non-fermentable sweet substances such as glycerol. Leaving grapes to hang doesn’t always lead to noble rot. Sometimes they just start to shrivel and the juice concentrates in that way (what the French call passerillé). Some sweet rieslings from e.g. New Zealand and Australia are made that way. German rieslings generally tend to have rising proportions of botrytised grapes in them as you rise through the heirarchy, and I suspect that these are the ones @cerberus is referring to when he speaks of their long life. At the top end they seem to last for ever, or until the cork packs up. I think, though, my “sweet spot” (ha!) for these sort of wines is the auslese level. Above that I feel they tend to lose as much as they gain from the botrytis, and for the prodigious price asked I don’t find the added fun I am looking for. 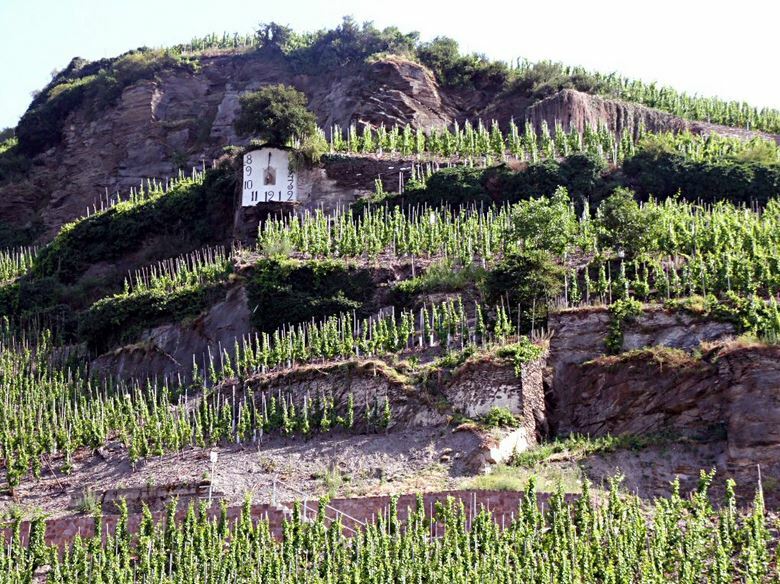 In Alsace, there is a fairly direct equivalent to the beerenauslese level of wine with the top end SGN (Sélection des Grains Nobles), though the next tier down (Vendange Tardive) is more likely to owe its sweetness to drier rather than botrytised grapes. Or it may not even be very sweet at all if fermented right out. Both these categories also age really well and offer some lovely wines - if you can find them. 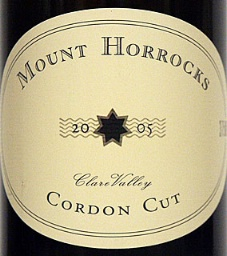 Of the “dried on the vine” (passerillé) category, one example I do like a lot is Stephanie O’Toole’s Mount Horrocks Cordon Cut Riesling from Clare Valley. The grape stalks are partially severed and the grape bunches left to hang before picking. Several other Australian growers do this though I haven’t tried their versions. But I think I would say that of all these quality sweeter wines, they share the property of benefiting from cellaring to develop complexity. That said, most of them are dangerously delicious when young! Just typing this makes me want to open one - I’m off to look one out for later! Cordon Cut is really passito on the vine, saves laying the grapes out on mats, same effect. A lot of botrytis gives broad, generous flavours, kept on the straight and narrow by a fine minerality and juicy acidity." Botrytised grapes can and do include the shrivelled variety, the more shrivelled the more concentration of sugars, it is not unknown when they pick these grapes that hey go over and over the vines picking grapes singly, often only a single glass will come from a complete vine this way, but this of course is the top of the tree, and explains the price. I suppose every statement is going to be qualified in some way - I guess 2003 was the year when everything you thought you knew went out of the window. Good point on the downgrading of higher level grapes into “lower level” wines (only lower level in terms of the QmP heirarchy). Plenty of people agree about that - the sweetness of today’s Kabinett wines seems more like that in yesterday’s Spaetlesen. I suppose there is some sort of stylistic choice behind that. I have an Alsace VT which would have been eligible for an SGN label on the basis of the proportion of the grapes that were nobly rotted, but the grower opted not to go that way as he felt the character of the wine reflected a VT ethos more than what a customer might expect from an SGN. I wonder if anyone makes a true passito or vin de paille using riesling? I don’t think I’ve come across one if so. have drunk Polish Hill at 12 years, at which point it had started to round out, but showed no sign of fading. I’d love to try one at 20-30 years. I wonder if anyone makes a true passito or vin de paille using riesling? To be honest I haven’t a clue regards Germany, I have never heard of that method used there, but no doubt someone will put me straight, what I do know is they do use that method in Austria, and if they use Cordon Cut in Australia it is logical to believe someone there is using the passito method, that is one for Winechief if he is around. Twenty years to ferment out in glass bonbonnes. I’ll bet that costs a bob or two, assuming you could ever find any. 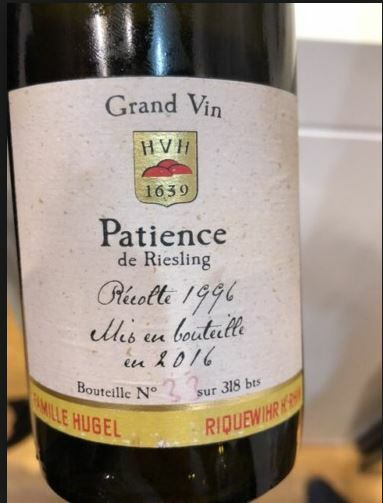 It would appear that the Hugel “Patience” was a one off, just that one vintage, we will have to be very patient before we can ever get our hands on a bottle, I wonder what the '96 sold for as their are pictures of a bottle. As Steve says, the Grosset Polish Hill is a very nice Australian Riesling and it can go on awhile, I have had a couple of them but from memory they were no older than four years, but still very fresh, Polish Hill along with Pewsey Vale and Leo Buring were the top Rieslings I had in Australia, but that was some time back and no doubt there are others now. And of course you can buy Polish Hill here and Pewsey Vale, which is good for those who want the best of Australian Riesling. Which in the scheme of things re price of TBAs is not bad, well said quickly it isn’t bad. was my thinking too…they saying quickly bit! Just to show how Riesling can at that top level age and be wonderful, here is a taste note fro Michael Broadbent in 1986 on a wine from 1937 at its peak, he gave it six stars ! Very deep but beautiful tawny with amber green rim; glorious concentrated essence of honey and raisins; fairly sweet, very rich, very concentrated and with intense extract flavour. Touch of prune; fabulous length. Jeffrey Grosset’s wines are right up there, and the Society does list them. A few people say they prefer the Springvale over the Polish Hill, though they both taste good to me. In terms of other Clare Valley rieslings, I can certainly recommend Pike’s “The Merle” from their Polish Hill River vineyards - only made in certain years. But there’s a lot going on there with producers vying for attention. The average standard is high. From the Polish Hill River area, another one you see about is Paulett’s, and that matures gracefully too. I did once try a special bottling of theirs (cost about £45 years ago) which didn’t so much taste of petrol but the entire refinery! Their standard wine isn’t like that I hasten to add. Pewsey Vale (down the road in the Eden Valley) make another good riesling I agree - their best one is called “The Contours”. They usually hold some back for “museum releases” with some extra bottle age on them - worth looking out for. In fact, Henschke, way better known for their reds, actually do a tasty riesling, and I was lucky enough to grab a museum release bottle of their 1995 with 20 years cellar time on it. It was very, very good. Since we are on the subject of Oz Riesling, can I throw in a good word here for Great Southern Rieslings. The GS area of Western Australia is huge, but there are some really interesting wines coming from here, not least their Rieslings. One really classic one comes from Rob Diletti’s Castle Rock estate, in the Porongorup subregion. I’ve had Rob’s top wine back to the 2001 vintage and there can be no doubt how well they come on in bottle. These are top notch wines, though sadly not available in the UK. Other Great Southern ones are, though. Great Southern rieslings strike me as a bit more graceful in their youth than their Clare Valley cousins - the latter can sometimes be a bit hard work when young.